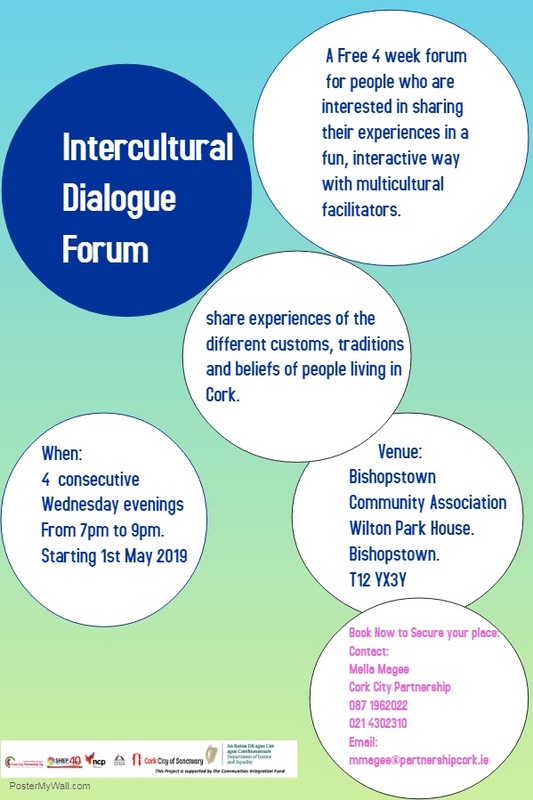 corkcity » Comhar Chathair Chorcai Teo, Cork City Partnership Ltd.
Register now to ensure a place on a fun, interactive programme of intercultural dialogue. Takes place over four Wednesday evenings in May in Wilton Park House. Share experiences, meet people & make friends. Refreshments provided and programme is free. Pictured are, Jasmine Lee, Alesha Lee, Leah O’Driscoll, pipils St. Brendan’s National School, Margo Hayes, Education Officer Cork City Partnership, Fiona O’Neill, Principal, St. Brendan’s National School, Michael O’Connell, Chairperson Cork City Partnership, Triona Barry, Home School Links St. Brendan’s and St. Mark’s and Carmen Ichim, Education worker Cork City Partnership, at the Cork City Partnership launch of “Supporting Cork Schools” Report. Over thirty schools across the city access these programmes which benefit 850 children annually. A report outlining these programmes and how they operate was launched today in St. Brendan’s National School, The Glen. 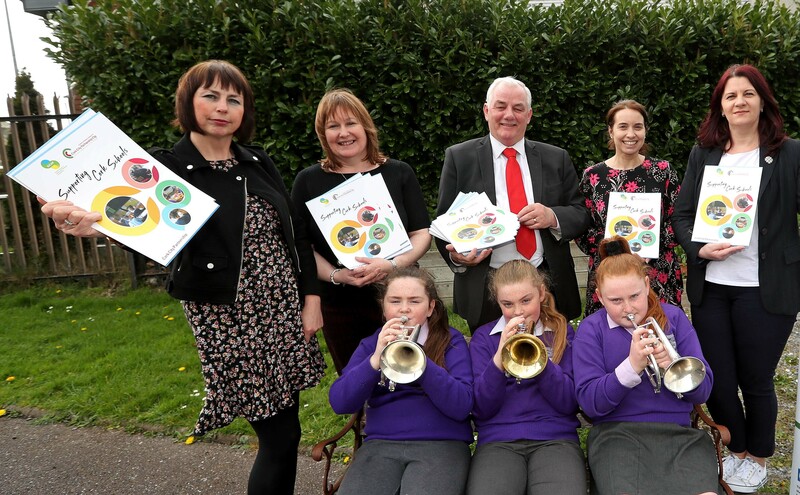 The report highlights feedback from school staff and students which shows the importance of these programmes in retaining children in education and optimising their performance. Who is eligible for ‘Women into Employment’ ? Women who are classified for social welfare purposes as ‘adult dependents’ are eligible for PEIL ‘Women into Employment’. Women in receipt of other social welfare payments that are not classified as ‘job-seeker’s payments and who are not working are eligible. This EU funded project aims to support women in the home who are currently not receiving a Job Seeker payment and are interested in working outside the home. The objective of the Programme is to support you to develop relevant skills and access personal development training and to support you on a one-to-one basis into gaining employment. 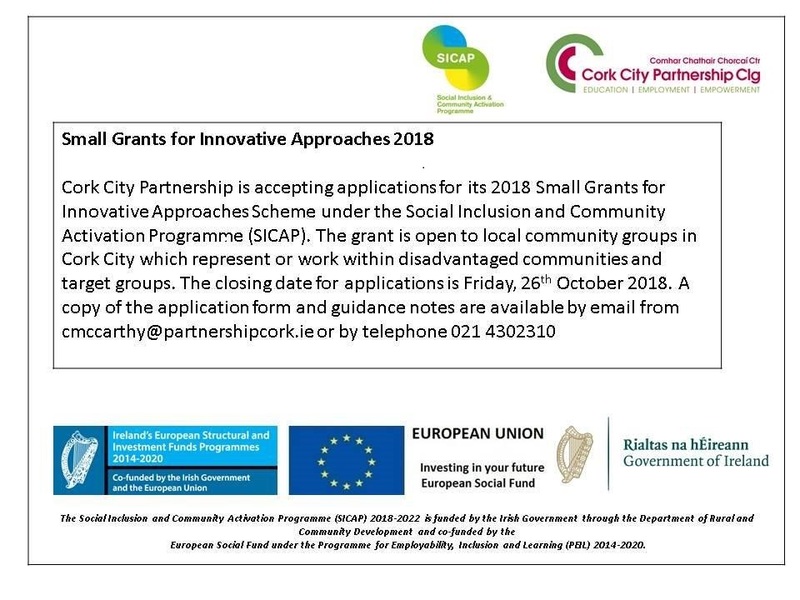 This project is co-funded by the Department of Justice and Equality and the European Social Fund under the Programme for Employability, Inclusion and Learning 2014-2020. 7.00-8.30pm Exploring Self Employment as a full time occupation. 10-12pm Introduction To Aromatherapy And Oils. or just come on the night pay at the door! The post will be based in Blackpool, Cork. Applications, including a covering letter outlining suitability for the post, together with a CV, should be emailed to info@partnershipcork.ie by Friday, 1st March 2019 at 5pm. Shortlisting for the post will apply. 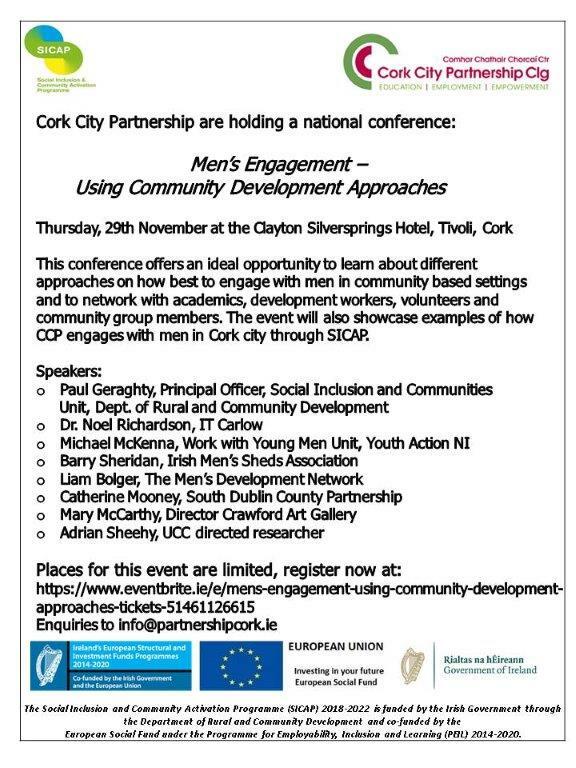 Cork City Partnership Clg. is an equal opportunities employer and welcomes suitably qualified applicants from all sections of society.